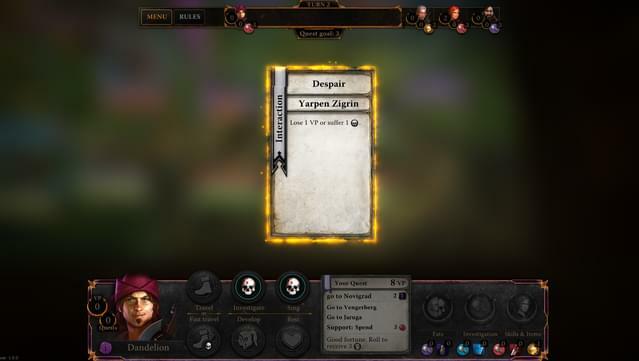 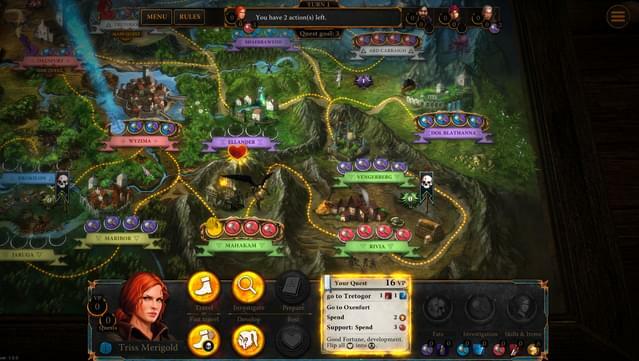 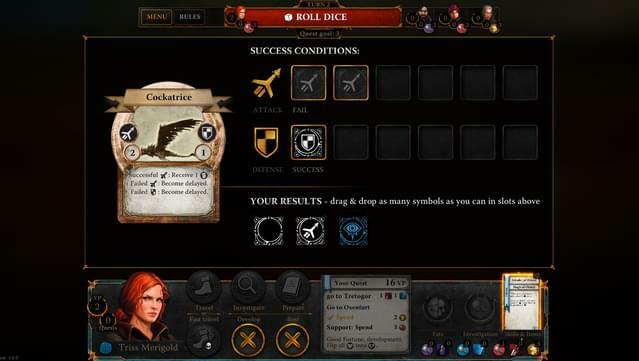 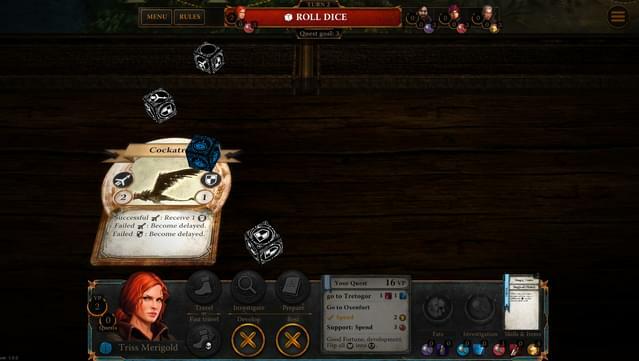 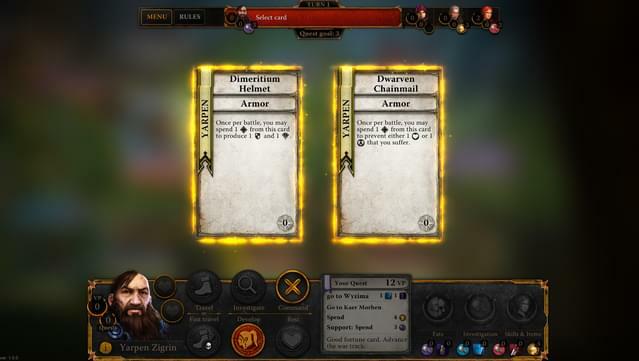 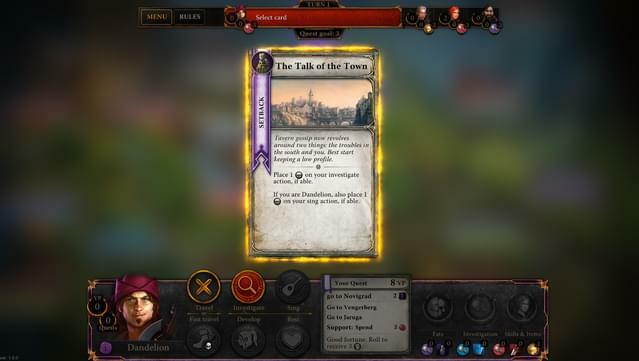 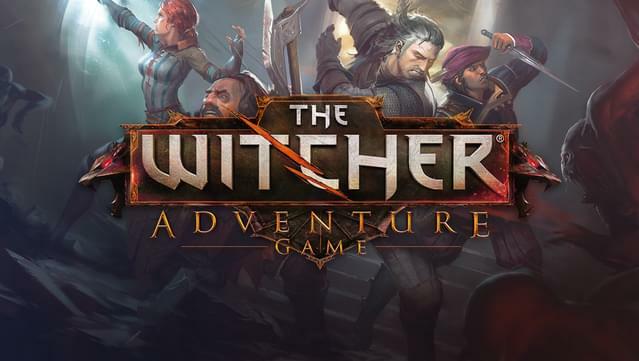 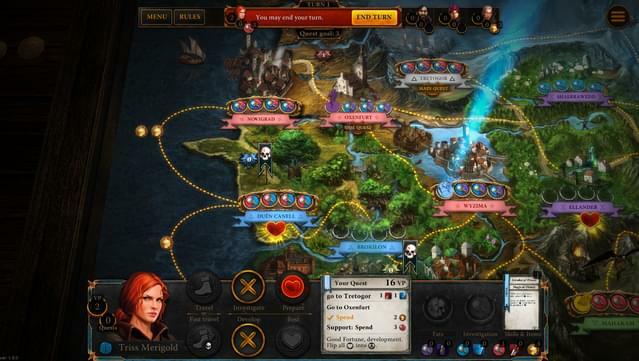 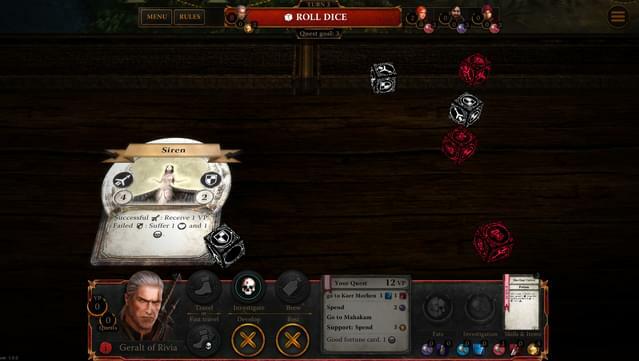 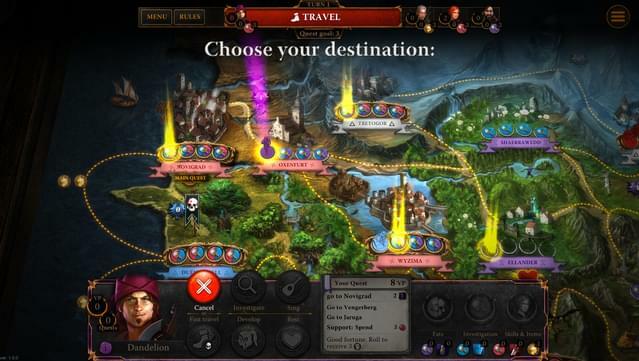 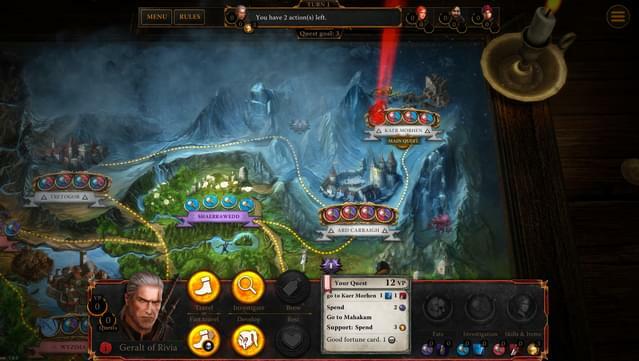 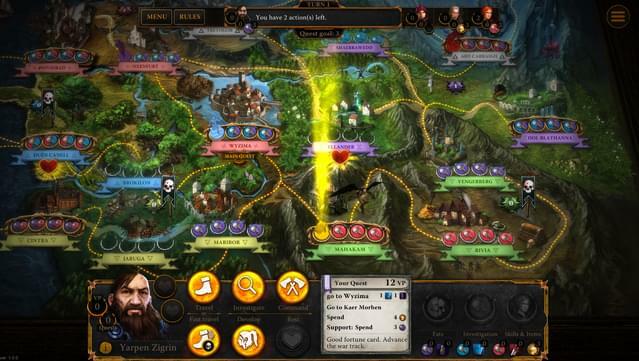 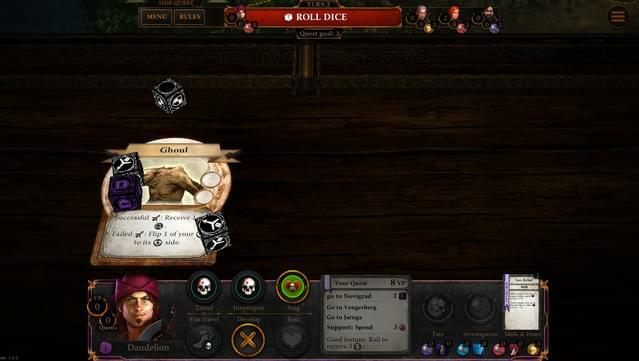 The Witcher Adventure Game allows players to take the role of four distinct characters known from the books and video games: Geralt of Rivia, monster slayer; Triss Merigold, cunning sorceress; Yarpen Zigrin, dwarven warrior; and Dandelion, roguish bard. 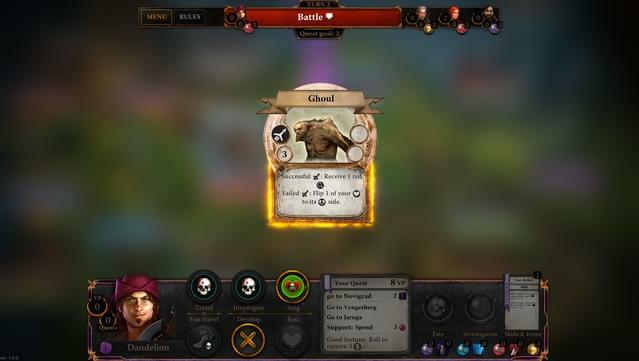 Each character has unique skills and multiple ways of overcoming obstacles - the choice is yours: do you fight your way to victory, call on your charm or try your hand at diplomacy? 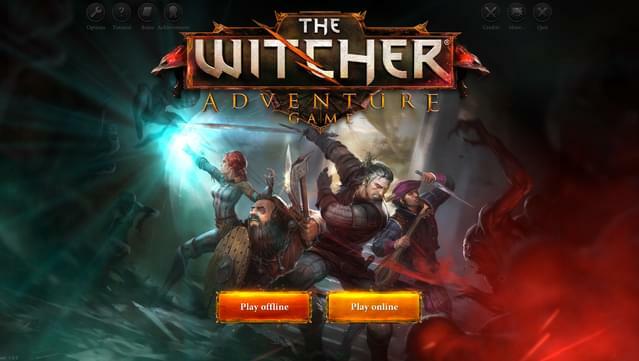 Art design taken straight from the critically acclaimed Witcher series of video games. 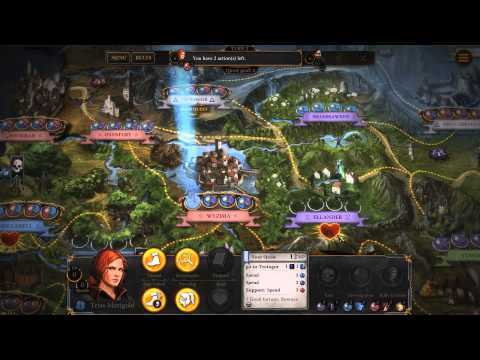 Play vs. AI and vs. your friends (online multiplayer and hot seat). 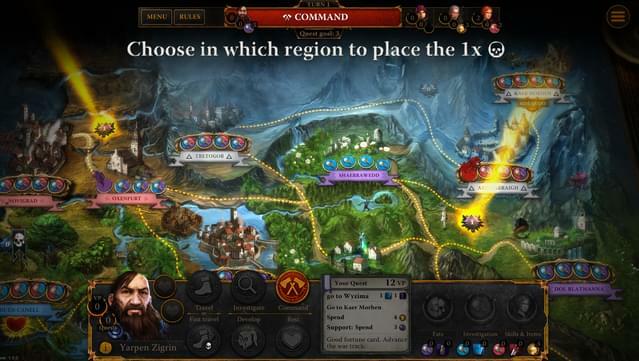 Clear, simple rules and intuitive mechanics. 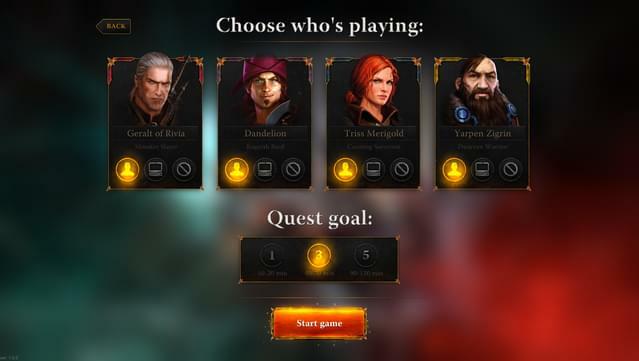 4 unique heroes with different skills and approaches to problem solving. 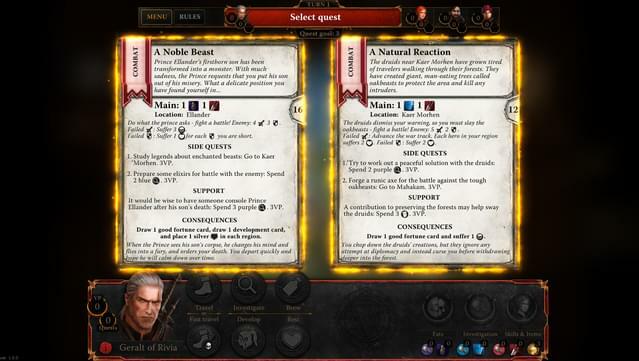 The digital edition contains over 288 cards and 30 monsters.